To an American Hero, we say Thank You! HERO – a person who is admired or idealized for courage, outstanding achievements, or noble qualities. Sempur Fidelis is a latin phrase meaning "always faithful" or "always loyal". Although it is the motto of the United States Marine Corps, I believe that these words could be used to describe Major Brent Taylor of North Ogden. 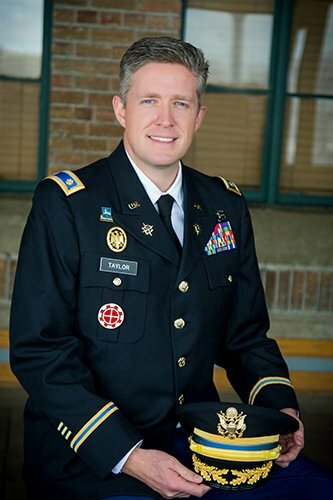 Brent Taylor was faithfully serving as mayor of North Ogden City when he was called up for his 4th deployment with the Utah National Guard. He faithfully accepted the call to go to Afghanistan to help train the Afghan Army commando battalion. When he announced his deployment to the people of North Ogden, Mayor Taylor said, "Service is really what leadership is all about." On November 3, 2018, Major Taylor was tragically killed by a rogue Afghan soldier during a combined training exercise with U.S. and Afghan forces. His loss has been felt by everyone in our community. He and his family have paid the ultimate sacrifice of any soldier and we say, "Thank You!" He is truly an American Hero. With the loss of such an incredible person, it reminds you and I of the importance of saying "Thank You" to all who wear, or have worn, the uniform of the United States armed forces. It also reminds us to thank ALL who have paid the ultimate sacrifice in defending our country and our freedoms. But most importantly, it reminds us to BE the kind of person that Mayor Brent Taylor was - a person of service to those in our community. To the late Major Brent Taylor and his family, to his fellow guardsmen and to all who serve this great nation, may we say, "SEMPER FI!"